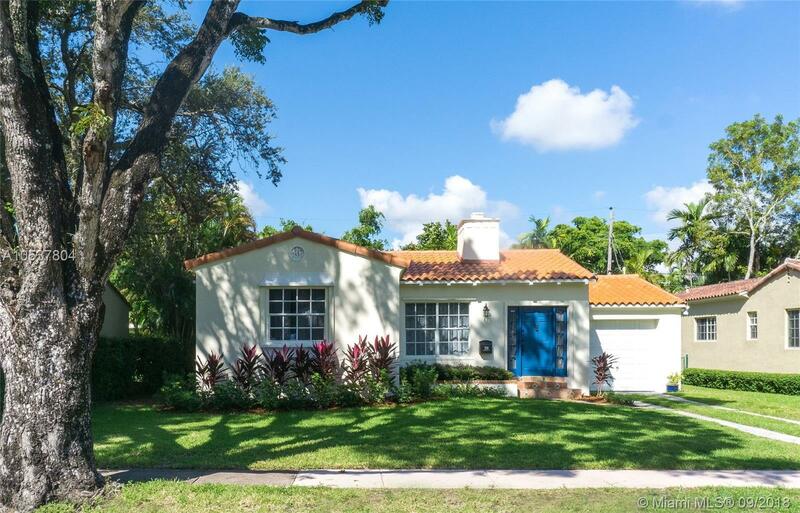 Substantially remodeled Gables charmer on a quiet tree lined street. This house has many fantastic renovations while maintaining its worldy charm with beautiful hardwood oak flooring, a gorgeous working fireplace, and a lovely foyer. Updates include a beautiful new kitchen, new marble bathroom, new drain pipes, a new septic system relocated to front, and a completely new A/C system and duct work. The home exterior has been entirely re-plastered and painted. The 6060 SF lot has room to add a pool or family room addition. Call for an appointment! Directions: North Gables - Take Red Road Or Granada To Venetia. Go South On El Rado. House On West Side Of Street.